As creatives ourselves, we’re pumped to share a new, custom-design invoice system that not only syncs with QuickBooks but also has a gorgeous and seamless interface, the ability to sign e-contracts and even leave a tip! Enter, inly. With over 2,500 entrepreneurs currently using the platform, they’re spearheading the art (quite literally) of invoicing in a growing culture of side hustlers and full-time creatives. To all visionary-types who love to create but don’t love the businessy-side of things, inly asks the question: who says getting paid has to feel boring and uninspired? This interface allows photographers, videographers, musicians, writers, designers and even small business owners the freedom to craft visually-appealing digital invoices within their own unique, artistic brand. And it’s 100% FREE (with optional upgrades), to boot! According to founder Jeb Holmes, most folks switch to inly because the entire experience is more seamless than other options. In addition to tips and contracts, they pass along the processing fees to the clients so users keep more money in their pockets! We actually sat down with Jeb and dug a little deeper into the story behind it all. Our convo below! ELC: What’s your connection to creatives? Jeb: We’re passionate about helping creatives and small business owners because everyone on our team worked as freelancers before starting inly! We love that community, and all of us have worked in the areas of photography, design, and music the last 10 years or so. 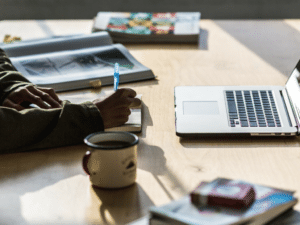 Generally, freelancers want to focus more on their craft instead of having to sit down and actually send their invoices, so we wanted to make that experience as enjoyable as possible to allow them to focus most on what really matters. ELC: Tell us the story behind inly – what problem did you see, and how are you solving it? Jeb: inly actually has an interesting origin story, and similar to most startups, it involves a few twists and turns that have led us to where we are now. Our team was initially working on a different startup, and in the process, we added in a very basic “invoicing” feature as a way to help add more value to that product. It was a very simple version of what inly is like today, but we noticed that it really was resonating with our users way more than we had expected! After a little while, we realized that was really the key feature in what we were doing, so we shifted gears, and that’s when inly was officially born. The main problem we saw was that invoicing had become a fairly bland experience across the board. Freelancers were spending so much money and time building their own unique brand, but then when it came to receiving payments from their clients their invoices looked just like the digital version of a basic piece of paper. We wanted to create a more streamlined and branded experience that not only made the process of creating invoices fun, but also made them simple and easy to pay as well! ELC: How does inly stand out among other digital invoicing systems, i.e. Paypal, Wave, etc.? Jeb: Great question! While we do make it easy to send invoices and receive payments, we also have some other features that are real game changers! We just recently added a “digital contract” feature which now allows our users to get a contract signed and receive a payment all in one streamlined process! We’ve also made it really easy to split invoices into multiple payments. With the click of a button, you can now add in a deposit or allow clients to pay toward an invoice over time with multiple payments. One of our favorite features is that we have added the ability for our users to receive tips on any invoice! It’s so fun to get messages hearing about how our users are getting tips on jobs that they normally wouldn’t have been tipped on! ELC: Who are inly’s users? Are they within a certain niche or expanding across industries? Jeb: I might be a little biased, but our users are THE BEST! I am seriously blown away every day when I check out the websites and work of everyone that signs up to use inly. We have noticed that it really is especially a great fit for photographers, videographers, and designers, allowing their brands and aesthetic to really translate into their payment experience. That being said, it really is a great fit for most small businesses and creatives… really anyone that doesn’t want to dread sending invoices anymore and would like to get paid quickly! ELC: An entrepreneur serving entrepreneurs, what advice do you have for others seeking success in starting their own business? Jeb: The journey of starting a business is a wild ride, but it’s truly been an amazing experience! I think one of the most important things we have picked up on the way is that you have to enjoy the process and celebrate the little victories. There are times when things will be cruising along and also inevitably they will get tricky every once in awhile, but just stay the course and enjoy every day! Also, we believe it’s so important to provide an exceptional experience for your clients. It never hurts to go above and beyond to make sure that you’re providing way more value than what you are actually charging for. This is the key to happy clients that will want to tell the world about your business and how much the loved working with you! We invite you to poke around on inly’s site, and see what it’s all about! It may just be the perfect fit for you and your creative business. As for us, we’re fans naturally. 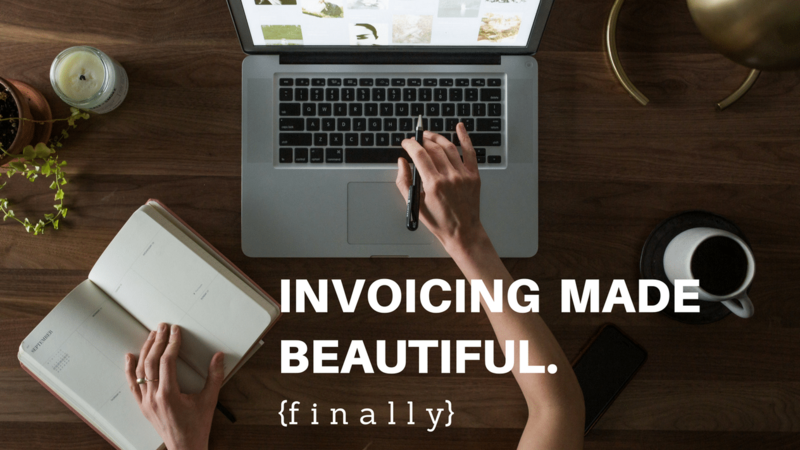 Next time you invoice a client, skip the boring monotony and opt for a more aesthetically gratifying experience!